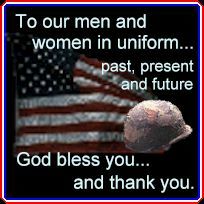 I sat down to write a letter home, a note to say goodbye, but that came to me were the words Semper Fi. I thought about it's meaning, it's not just a Latin phrase, the Union learned it's meaning as their country blazed. It has many meanings,just a few I'll share with you,"Always faithful, always true. Permission to hug my sister, Bro-take care of you." "On your sheild or with it, Catch ya' on the flip side,Win the fight-you bet. Hearing it fills me with pride." Semper means always-bring your brother home. Fidelis means faithful-to your country, friends, life, family, and home. SYNOPSIS: Capt. Doyle R. Sprick was the pilot and 2Lt. Delmar G. Booze his navigator/bombadier on board an F4B Phantom fighter jet flying out of Da Nang Airbase, South Vietnam on January 24, 1966. Sprick and Booze were part of a multi-aircraft strike mission during a Christmas moratorium. At some point during their mission, while over Thua Thien Province, South Vietnam and about 10 miles south of the city of Hue, the aircraft flown by Sprick and Booze went down. Both men were declared Missing in Action. Another F4B, apparently on the same strike mission, was downed at the same location on that day. This aircraft was also flying out of VMFA 314, 11th Marine Air Group, and presumably departed Da Nang as well. The second Phantom was flown by Capt. Albert Pitt, accompanied by navigator 2Lt. Lawrence N. Helber. This aircraft disappeared after striking a target. The last contact with the aircraft was a report that their strike on the target had been successful. Helber and Pitt were declared Missing in Action. All four Marines lost that day were also given a clarifying code indicating the degree of enemy knowledge of their fates. These four were all classified Category 4, which means U.S. Intelligence has no information to indicate that the Vietnamese know their fates. According to Doyle Sprick's twin brother, Duane, searches were conducted for the aircraft which were extensive and thorough for the time and condition. The Da Nang area, according to Duane, was unfriendly, so the search and rescue was fairly restricted since the area was "owned by the Viet Cong at the time." In 1969, the Central Intelligence Agency received a rather extensive and detailed report relating to a POW camp near the city of Hue in which scores of Americans had been held. When asked to review photographs of Americans still missing, the source giving the information positively identified Albert Pitt as having been detained in this camp. This identification was made on April 11, 1969. The source also listed the Viet Cong Huong Thuy District Committee members and provided sketches of the committee's headquarters and POW camp. The U.S. intelligence community determined that it could not "be determined why the source selected (Pitt's) photograph" as he "was never seen by other US PWs following his loss incident". The source was summarily dismissed, and his information discounted. The report was classified. Over 15 years later, this report was unearthed by a concerned citizen through the Freedom of Information Act. He immediately contacted the family of one of the men on the "positive ID" list, and was shocked to learn that they had never been told of the report's existence, nor did they have any clue that their son could possibly have been captured. Since that time, the lengthy report was distributed widely, and came into the hands of two of the men whose name appeared on the "Positive ID" list who had been fortunate enough to be released in 1973 by the North Vietnamese. These returned POWs verified the accuracy of the report insofar as the compound was concerned and added that it was a "way station", or temporary holding center in which POWs were held only for brief periods of time. Thus, they were not surprised to see many names on the list of men they had not seen at this facility. Since American involvement in the Vietnam war ended in 1975, nearly 10,000 reports concerning Americans missing in Southeast Asia have been received by the U.S. Government. Less than 200 of them have been determined to be false, or fabricated reports. Many have been correlated to individuals who returned to the U.S. in 1973. In late 1989 about 125 cases were still under investigation, undergoing the "closest scrutiny" the U.S. intelligence community could give them. Thus far, according to the U.S. Government, it has not been possible to resolve these cases as false or true. Many authorities are convinced that hundreds of Americans are still being held prisoner in Southeast Asia. If Albert Pitt was accurately identified by the Vietnamese source in 1969, he has been criminally abandoned by the country he proudly served. If Albert Pitt could be forgotten and be held unseen by other American POWs, why not Sprick? Booze? Helber? Why not several hundred of the nearly 2500 still missing? If they are alive, why are they not home? Are we doing enough to learn the fates of our heroes? B. Who do not meet criteria of categories 1 through 3. I e-mail the President, and it was fwd to the Department of Defense. I received a really nice letter from Mr. Charles W. Henley, Special Assistant for Legislative Affairs. He told me what had been done, and what was continuing to be done. 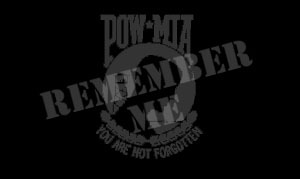 Write in about your adopted POW/MIA, or just all POW/MIA's in general!. The address is above. For complete information, see Here. I did a speech on POW/MIA's for my Communications class in college. I handed out about 20 lapel ribbons, and saw some people wearing them on their book bags the next class. No Freedom is not Free!! I am a college student. The Vietnam War happened before I was even born, so why do I care? I care because I am free. I care because, if I was in this situation, I'd hope someone would care about me. I care because I am an American. I care because my Uncle was in the Vietnam War, and this could have happened to him.